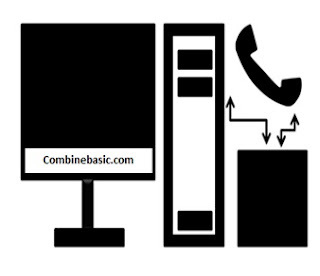 One of the most common connections that were used of the computer before in order to connect of the internet is using the computer Modem. Modem is derived from the word Modulator and Demodulator. It’s simply to demodulate and modulate the analog signal to digital signal came from the telephone line in order to decode the information (signal) by the computer system. It has only a 56 kb/s speed once you connect to the internet using the telephone line through your computer and using the Dial-up Card of the ISP(Internet Service Provider). This connection is obsolete now in this generation and was change by the new topology using the LAN, MAN, WAN. And the very new topology without using a wire that have a maximum speed of 100 mb/s or what we called WIFI (Wireless Fidelity). Click the dial-up connection you want to configure, and then under network task, click change settings to this connections. On the general tab, under connect using, click the modem you want to configure, and click configure. If you want to enable the modem speaker, select the enable modem speaker check box. Under network task, create a new connection and then click next button. Click connect to the network at my work place and then click next button. Click dial-up connection, click next button, and then follow instructions of the new connection wizard.